As the figure at the top of this post indicates more recent estimates for sea-level rise are substantially higher, but significant uncertainties still remain. Those uncertainties, however, aren’t comforting, as a seal-level rise of 2+ meters is a truly frightening prospect. Even the low end estimates are worrisome. The bottom line is that the IPCC is inherently conservative, despite what one hears in the media. 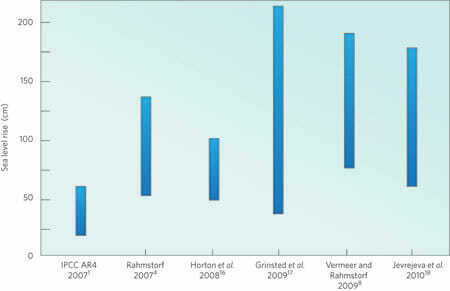 It’s high end estimate is roughly the same as the low end estimates from studies that have come later. 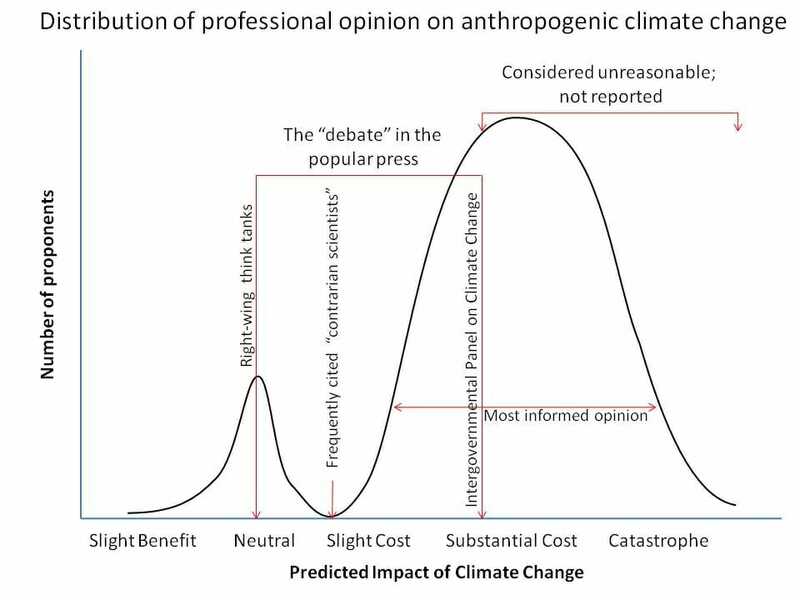 Michael Tobis’ diagram of the climate change debate is helpful in understanding the range of opinions within the scientific community and the media. The question is how do we get the media to report in the full spectrum of informed opinion, rather than just the lower end of the bell curve?